Is it time to ditch your external hard drive? For years now, the golden rule when it came to getting more storage was to buy an external drive and spend half of your day moving data across to it. This trend has been changing, however, as more and more people have chosen cloud technology. Why? Here are the reasons why cloud storage is better. All of us have seen the 'Low disk space' warning on our computer at some point, and few of us haven't experience at least one corrupted file. Having a good backup strategy is important, and everyone should know why. You want to make sure that all your photos, music and videos you’ve collected for so long are there for the future. You also want to make sure none of your work documents disappear. You also want to have the extra space when you actually need it. How best to back up your files, however, is the issue. For years now, the rule of thumb was to go online, order an external hard drive and spend half of your day figuring out how to transfer your data. External drives are certainly fast; however, even after all these years they're just not that reliable. 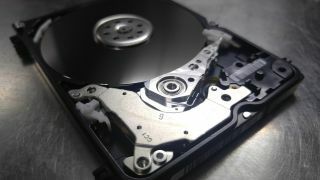 Hard drive failure rates, especially on modern devices, are as high as 27% during warranty period. This means a hard drive is pretty much good for two or three years, and then you can kiss it, and your data, goodbye. What about the cloud? Cloud storage maybe not be as fast as external drives but it does take care of a fundamental problem external HDDs can’t fix: reliability. We have files on our phone, on our home laptop and on office computers, but an external drive can only back up data on the device it's connected to. On the other hand, cloud storage gives you the freedom to back up files on any internet-connected device, without plugging anything in. Most cloud storage services have dedicated apps for most major clients. Access is so much easier, because you only need a web browser and working internet connection to access your files. With external drives, you’re in charge of security. However, a lot of people seem to miss this part – while a hard drive warranty will replace your HDD, it won’t bring lost files back. Security and the cloud haven’t always gone together either. However, in recent years more and more new cloud storage apps have been deploying advanced encryption standards that ensure your data is safe at all times. European cloud services encrypt user files before they transfer to their servers. By the time files are uploaded they're already unreadable by anyone other than the user. Sync technology is one feature that’s incredibly handy, but rarely discussed. Selective sync allows you to connect your local folders with the cloud. If you’re working on the go and don’t have Internet connection, sync helps you get the job done. Putting aside all other arguments, cost is probably the trickiest factor to consider. External drives have relatively linear pricing. The more you pay, the more storage you get. Some external drives also come with an additional warranty in case of failure. Unfortunately, the warranty does not include file recovery, which can cost as much as $1,500, and which, depending on the nature of the failure, may be ineffective. Cloud services may seem more expensive due to their subscription-based pricing model. However, the price includes advanced file recovery options. In this case, you’re paying for storage, recovery and even more options, which make cloud storage cheaper in regards to the quality of service you get. In the end, cloud-based solutions are the overall winner for us. Cloud services are becoming cheaper and more accessible every year. They also take care of additional data concerns like file recovery and remote access. With the evolution of the pricing models, including Lifetime options, external hard drives may eventually go the way of the compact disc. Stalina Zoir writes for Pcloud, a Switzerland-based secure cloud storage company.